Learn the basics to riding and horse care! Have a chance to experience both English and western tack while campers learn basic position and control. Campers will also experience all the elbow grease required to ride, from mucking stalls, throwing hay, bathing horses, and cleaning tack. This camp is geared towards horse crazy kids with minimal riding experience and will be an in-depth introduction to all the basics. Send lots of water, snack and lunch for your child. We'll start with dirty horses and ponies and transform them into real beauties. We will learn to groom, bathe, clean hooves and then braid mane and tail...then move on to painting nails and deciding on the right hair color for our horses. The transformation will be amazing! 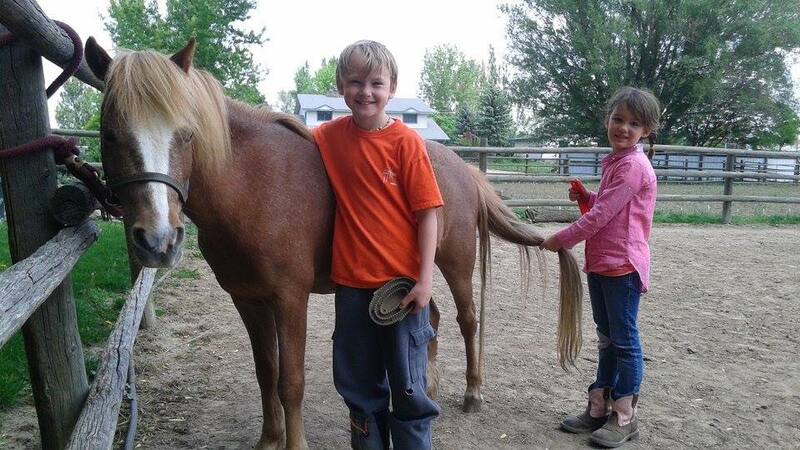 Kids will get lots of hands on pony time, having fun and learning about horse care while having fun. Send lots of water, snack and lunch for your child. Geared for slightly older farmers, we'll work with horses, pigs, chickens, goats, asking great questions along the way (Why don’t pigs sweat? Are chickens actually reptiles? And what is the horse’s frog actually for?). We will go on a biological scavenger hunt, learn about evolutionary adaptations of farm animals explore the farm to identify ecological niches, and discuss other processes along the way. This camp is for kids that love to dig through the dirt and never stop asking questions! Of course there will be time to play in the hay barn and run through the sprinkler. Our horse whisperer and barn manager, Kat, is majoring in Biology at CSU and she is excited to share her passion with our farmers! Send lots of water, snack and lunch for your child. Whether you want to use the swords you made last year at Swordplay Camp or just come on out to the farm for a fun, active day of tag with foam padded weapons, this is the day for you. We will be using a wide array of gear (we provide), learning the game rules and then we're off and playing... in the orchard, in the arena, and in the haybarn. Send lots of water, snack and lunch for your child. 8+ ages This is a smaller camp -- only six riders. You will need to submit an application form, describing your horse experience. Take your horse skills to the next level! Practice your position and precision riding through an obstacle course, learn to take a horse’s vital signs, and how to ground drive a pony. This camp is for riders who know the basics. Campers should be familiar with vocab, comfortable and in control riding at the walk, and experienced with taking up and leading horses. There is no online registration for this class. Please send me an email and explain your child's riding experience and we'll go from there. Learn the basics to riding and horse care! Have a chance to experience both English and western tack while campers learn basic position and control. Campers will also experience all the elbow grease required to ride, from mucking stalls, throwing hay, bathing horses, and cleaning tack. This camp is geared towards horse crazy kids with minimal riding experience and will be an in-depth introduction to all the basics. On Summer Farm School Days we will explore the children’s garden, play in the haybarn, learn about horses, hug chickens, and get a sense of what life is like on the farm. We could also have hands on nature activities and / or water fun depending on the day. Please send your child with water, lunch and a snack. Children need sturdy shoes that cover the toes when working with horses. On Family Farm Days we will do a round of farm chores, play in the haybarn, learn about horses, hug the chickens, brush the ponies and get a sense of what life is like on the farm. We could also also have hands on nature activities and / or water fun depending on the day. Please send your child with water, lunch and a snack. Children need sturdy shoes that cover the toes when working with horses. We'll start with dirty horses and ponies and transform them into real beauties. We will learn to groom, bathe, clean hooves and then braid mane and tail...then move on to painting nails and deciding on the right hair color for our horses. The transformation will be amazing! 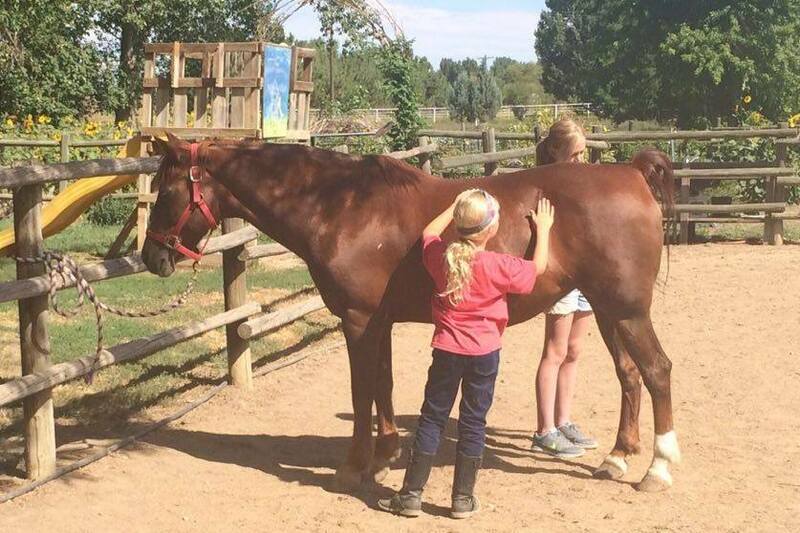 Kids will get lots of hands on pony time, having fun and learning about horse care while having fun. Spend a horse filled day at the barn! Take care of morning horse chores, learn to groom and tack a horse, practice leading, ride through an obstacle course, and muck a stall. Finish the day going on a horse based scavenger hunt throughout the farm. A perfect camp for beginners to dive head first into the horse world. Working with the guidance of Susannah Franklin, local artist who works wit oils and also does murals and electric boxes, we will explore the farm and find a still life subject to create. We will talk about this time honored practice of drawing and work on individual pieces to take home. And of course we will take breaks to hug chickens, play with horses and swing in the hay barn. This camp is for younger riders that just want to spend some time around our horses. We'll practice being safe on the ground with horses, leading, grooming, and then do pony rides. If time allows we will also paint and wash the ponies! This camp is for beginners -- not suitable for children with lots of riding experience. Please send your child with a snack, boots, and long pants. Find your inner cowboy or cowgirl! Ride through the barrel pattern, experience farm chores, learn to throw a lariat, and do some western arts and crafts! There will be time to swing in the hay barn, play some farm games, and cool down in the sprinkler. Geared for slightly older farmers, we'll work with horses, pigs, chickens, goats, asking great questions along the way (Why don’t pigs sweat? Are chickens actually reptiles? And what is the horse’s frog actually for?). We will go on a biological scavenger hunt, learn about evolutionary adaptations of farm animals explore the farm to identify ecological niches, and discuss other processes along the way. This camp is for kids that love to dig through the dirt and never stop asking questions! Of course there will be time to play in the hay barn and run through the sprinkler. Our horse whisperer and barn manager, Kat, is majoring in Biology at CSU and she is excited to share her passion with our farmers! ****Small camp*** This is a smaller camp -- only six riders. You will need to submit an application form, describing your horse experience. We will then contact you about registration. Whether you want to use the swords you made last year at Swordplay Camp or just come on out to the farm for a fun, active day of tag with foam padded weapons, this is the day for you. We will be using a wide array of gear (we provide), learning the game rules and the we're off and playing... in the orchard, in the arena, and in the haybarn. ages 8 +From the artist, Suzanna, "In years past, I have had the excellent fortune to instruct painting workshops for children at Laughing Buck Farm. I am excited to return once again to lead a group of children in completing a mural that will remain as a permanent addition to Laughing Buck Farm. Students will learn how to plan a large scale work; they will learn about composition, materials, and simple techniques that will make their own paintings shine!" We will also have time to hug the chickens, play in the hay barn and have some farm fun with friends. Whether you want to use the swords you made last year at Swordplay Camp or just come on out to the farm for a fun, active day of tag with foam padded weapons, this is the day for you. We will be using a wide array of gear (we provide), learning the game rules and the we're off and playing... in the orchard, in the arena, and in the haybarn. We will provide snack. You pack a lunch for your kiddo. On Summ﻿er Farm School Days we will explore the children’s garden, play in the haybarn, learn about horses, hug chickens, and get a sense of what life is like on the farm. We could also have hands on nature activities and / or water fun depending on the day. Please send your child with water, lunch and a snack. Children need sturdy shoes that cover the toes when working with horses. 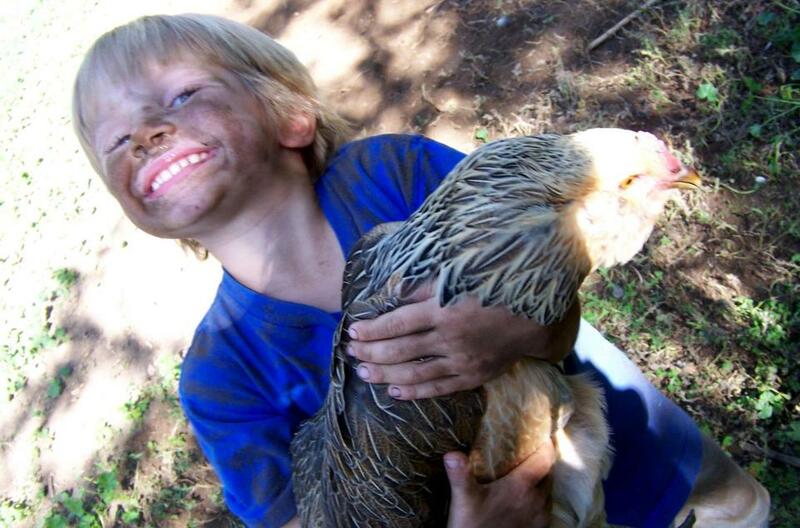 Our integrated farm experience aims to help children develop and improve their social-emotional skills, independent living skills, and sensory regulation skills by learning through a sensory-rich environment where kids can experience the sights, sounds, smells, feel, and work of farm life! Children will be able to explore the many wonders of farm life. Whether taking care of the animals by engaging in heavy work opportunities, exploring the garden to make a healthy snack, climbing the hay bales or swinging on the tire swing in the play barn, children will learn responsibility for other living things and work on engaging with others or trying something new for the first time. Children must be able to be comfortable using a mobile bathroom (porta-potty) and not have severe allergic reactions to a variety of animals (horses, pigs, chickens, goats, bunnies, cats, etc.) as they may be exposed to these animals at camp. ****Small camp*** This is a smaller camp, only six riders. You will need to submit an application form, describing your horse experience. Then we will contact you about registration. Take your horse skills to the next level! Practice your position and precision riding through an obstacle course, learn to take a horse’s vital signs, and how to ground drive a pony. This camp is for riders who know the basics. Campers should be familiar with vocab, comfortable and in control riding at the walk, and experienced with taking up and leading horses. Please tell us about your child's riding experience.